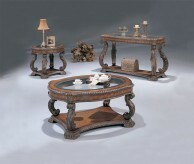 Simplicity at its best, the Carly 3pc Coffee Table Set a classic look that will blend perfectly with any decor. 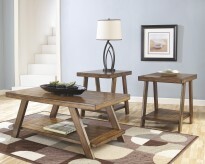 Visible wood grain on the base is contrasted with a smooth, unblemished table surface for placing drinks or displaying decorative accents. 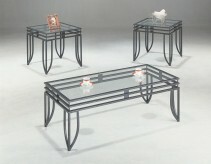 Simple legs continue the fluid lines and modest design of this collection. 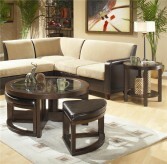 The 3pc set includes the coffee table and 2 matching end tables (18x16x19h). 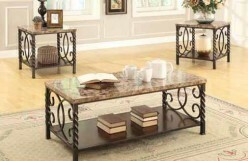 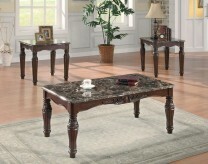 Furniture Nation is proud to offer the Carly 3pc Coffee Table Set online. 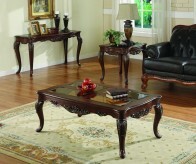 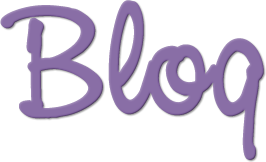 We serve customers across the DFW region including Weatherford, Dallas, North Richland Hills and many more. 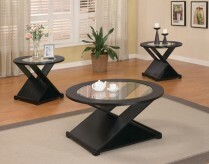 L18" x D16" x H19"
L44" x D22" x H15"